· The new super-premium cigar from Fábrica Joya de Nicaragua. 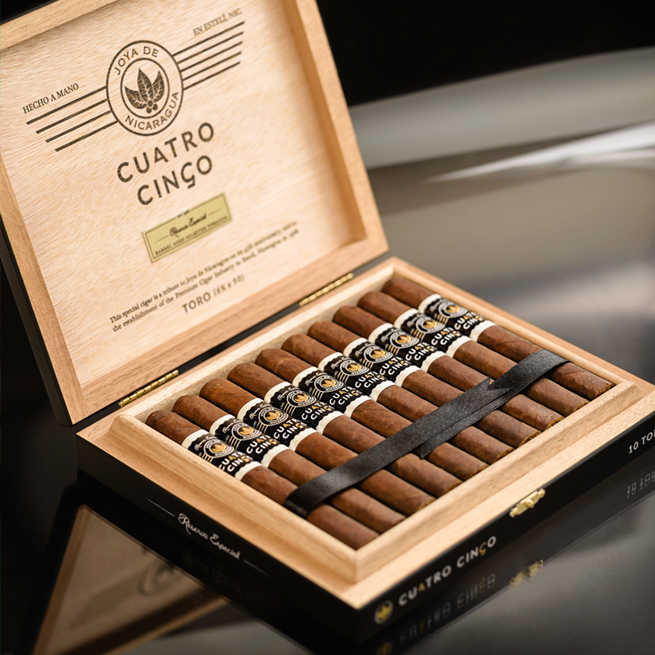 · Inspired by the overwhelming success of Cuatro Cinco Edición Limitada. · A modified recipe using grade A filler tobaccos aged in vintage oak barrels. 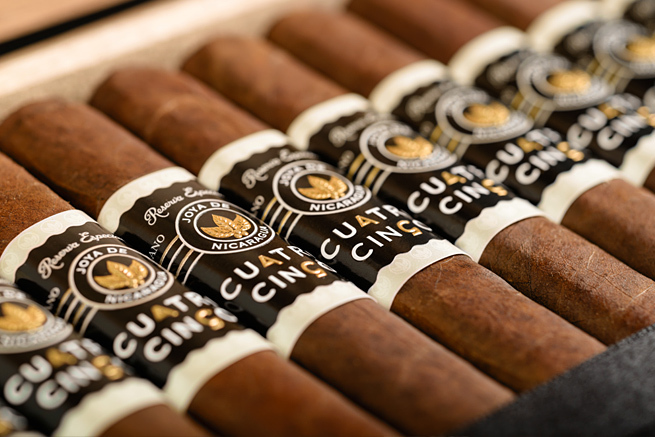 Estelí, Nicaragua– In 2013, during its 45th anniversary, Joya de Nicaragua released Cuatro Cinco Edición Limitada, a beautiful cigar containing 100% Nicaraguan fillers and five year old ligeros aged inside vintage oak barrels. This Limited Edition exhibited a unique, seductive flavor and enchanting aroma that captivated consumers worldwide and sold out in just a few short weeks. 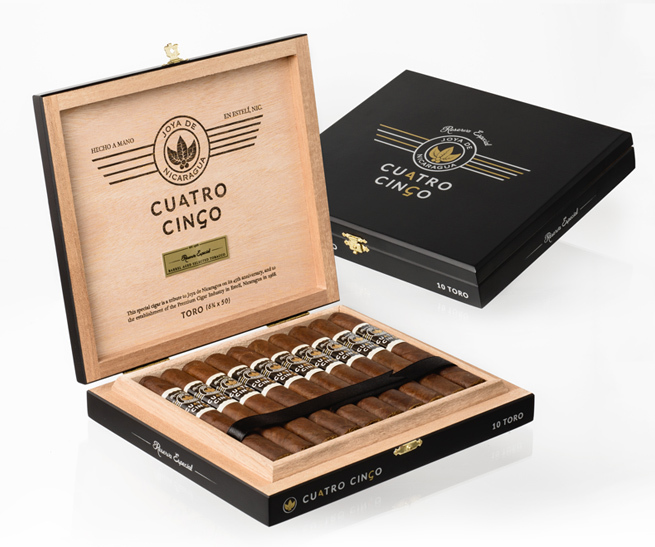 The ecstatic response from around the globe and our consumer’s desire for more, encouraged us to create a cigar as special as Cuatro Cinco Edición Limitada, only this time on an on-going basis. 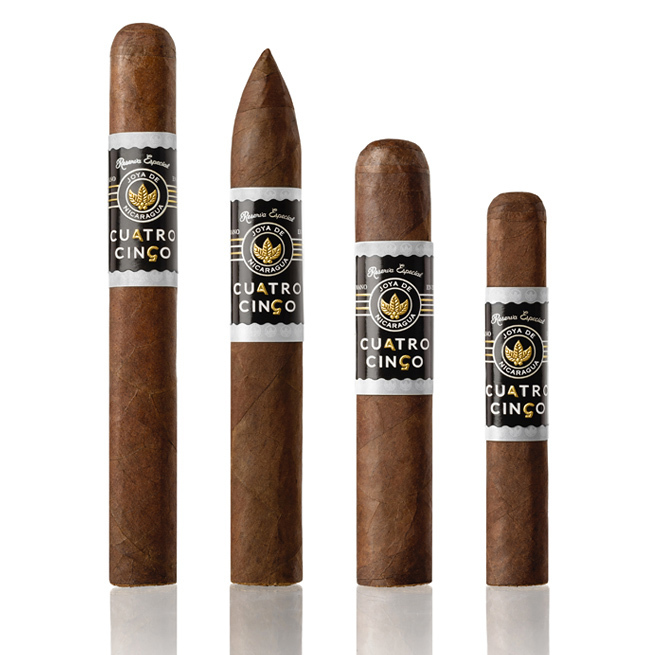 Joya de Nicaragua proudly announces the release of Cuatro Cinco – Reserva Especial, a carefully modified recipe containing a unique and exceptional selection of barrel-aged Grade A fillers and a beautiful silky shade-grown habano wrapper from the legendary Jalapa valley. Distinct from the Limited Edition, it also incorporates a carefully selected volado dominican binder. The cigar will also be distinguished by the silver details on the main band and a light silver secondary band instead of a gold one, which was unique to the Edición Limitada. The initial batch will start shipping in the last week of June 2015 to selected members of the Drew Diplomat Retailers program. It will be available to all Drew Diplomat Retailers after this year’s IPCPR tradeshow and convention in July. It will be available in the rest of the world in limited quantities.